I have a somewhat voyeuristic fascination with personal organizational systems. Whenever I catch a glimpse of someone’s Bullet Journal or to-do list, I’m intrigued. What tools do people use to organize their life, from daily minutiae to notes on higher-level thinking? What does this say about their personalities and their effectiveness? Does analog or digital matter? Can one system look completely disorganized to an outsider, but work extremely well for one individual? This year, I’ll be quizzing friends and colleagues on their personal systems to try to better understand these questions, as well as exploring the systems of those that have accomplished much more than me. Coincedentally, Stephen Wolfram, of WolframAlpha, just put out a post on his elaborate, meticulous “personal infrastructure“. Personally, I’ve put a lot of work into developing my systems and making them as optimal as possible (for me, of course). 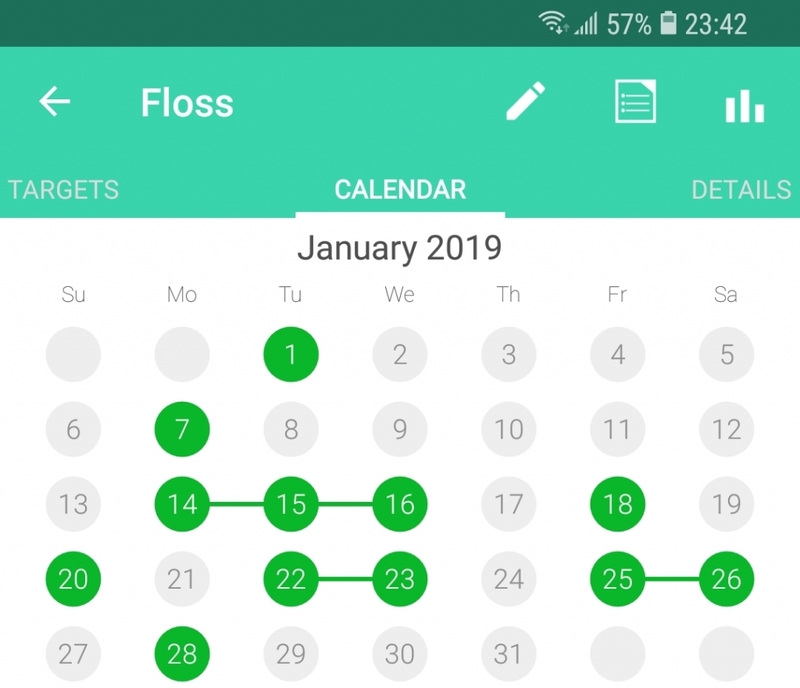 I’ve presented my own systems below in the hopes that those looking to improve their organization might glean something from the way I organize my life. I have a short attention span and thoughts leave my head very quickly, so I highly value convenience and accessibility for my notetaking. I haven’t found anything faster than a simple “notes.txt” file, which I store in my Dropbox. On a desktop, ALT+Shift launches Launchy, and I need only type “n” and then Enter to open notes.txt. On Android, a shortcut to notes.txt sits on my homescreen for easy access. If a notes section gets too big, I break it off into its own text file, so I also have clothes.txt, DREAM JOURNAL.txt, packing list.txt, ultimate.txt (six years of notes on my attempt to get really, really good at ultimate), plus text documents with notes for every language I’ve learned or attempted to learn. I’ve previously used Anki, a spaced-repetition flashcard app, as a pivotal tool for learning five languages, which I detail in my Beginner’s Language Learning Guide, but this year, I’ve started to apply it to general knowledge as well. Anything I want to be able to recall at a later date goes into an Anki deck called “Knowledge”. This includes trivia like European capitals, definitions of words, personal details I want to memorize like my driver’s license number, and information I’ve learned from classes and books. I’m reprogramming my brain to review cards on the Anki Android app during idle time, where I otherwise would have been mindlessly swiping on Tinder or browsing social media: on public transit, waiting in lines, etc. 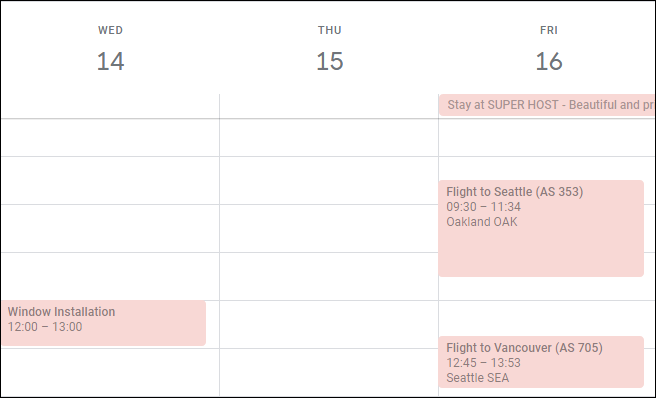 I use Google Calendar for events, parties, hangouts, flights, and meetings. Vacations get their own all-day events. Calendly allows anyone to schedule a meeting or call with me, and integrates with my Google Calendar to block off times I’m not available. The Calendar Notifications Plus Android app alerts me 10 minutes before an event starts, and allows me to snooze the notification until the event start time, so I effectively get two notifications to make sure I don’t miss an event. Every personal task makes it onto Todoist, which can be updated via desktop, mobile, and Alexa. The Alexa integration has been a gamechanger, as I previously struggled with not wanting to interrupt what I was doing to write down tasks. Now, I can ask Alexa to remember it from anywhere in my house, whether my hands are full or not. Some Todoist tasks are further classified into three projects: Shopping List, Clothing, and tasks for the house I own in Pittsburgh, which I converted into an AirBnB this past summer. I usually have Todoist open in a browser tab constantly, so if I find my attention wandering towards something unproductive, I see it and check my daily tasks to see if I could be doing something productive. Unsurprisingly, recent college graduates are poor. When I first started out, I was pulling data from these accounts manually, but then the wonderful Mint came around and I switched to using that in 2009. Late last year, I switched from Mint to Personal Capital, only because Mint kept having issues connecting to some of my accounts. There are advantages and disadvantages to each, but they essentially do the same thing. 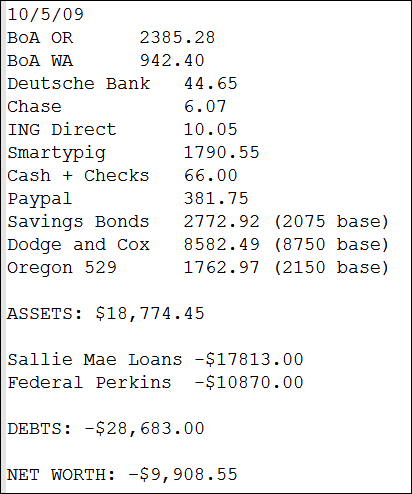 Although I could ditch the “my funds.txt” file, I like the gratification of typing the numbers in myself from Personal Capital each month and watching my net worth grow (or shrink). As you might have noticed from the above screenshot, I also use the file to keep track of my base for each investment. One of my life goals is to have more investment value from pure interest as I do from base contributions, so using the text file allows me to be platform-agnostic in tracking this metric. After inputting my net worth values, I then use Personal Capital’s “Cash Flow” screen to track my spending and make sure everything looks in order. This allows me to see if any anomalies pop up, and reminds me if I bought any products I should return, or purchased anything to share with housemates that needs to be added to Splitwise. I track every workout, whether it’s sports, lifting, or cardio, with a minimalist app called WorkoutLogThing. It’s low-tech and hasn’t been significantly updated since the mid-2000s, but it’s a great lesson that sometimes the best webapps do the little things right without all the bells and whistles. The appealing part for me is being able to see my entire calendar view at once, where any day I don’t work out bares itself in white. The desire to paint the calendar blue gives me more motivation do do some sort of exercise every day. 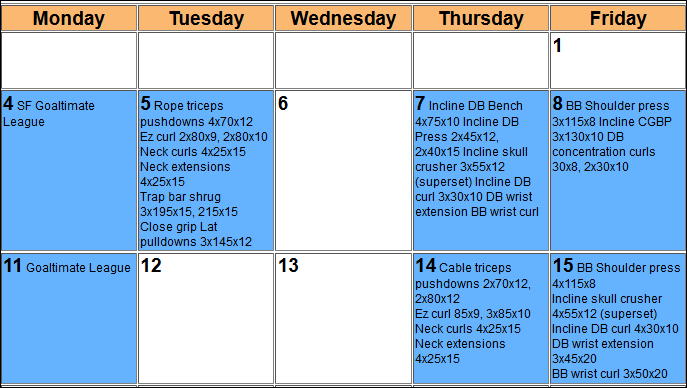 I track more general body stats (numbers on the core compound lifts, bodyweight, bodyfat, measurements) semi-regularly on BodySpace. Any link or article I want to save for future reference, such as peer-reviewed studies or sociology/psychology phenomena, goes into historious. I use their “historify!” browser extension, which immediately saves a link into my sites, which I then rename and tag as needed. Actions I want to take every day, or at least several times a week, are tracked in HabitHub for Android. This simple, but brilliant app notifies me every night at 11:30 PM to record which habits I completed that day. The single tap required to continue my “habit chain” is satisfying, and I like the stats that show me how many times per week/month I’ve completed one of my habits. These systems of mine are fairly well-developed, and have been constantly iterated on since I was 18. However, I’m always interested in combining or developing new systems as my interests change. I’d love to learn about how others organize their lives. If you have a suggestion or a link to your own systems, let me know! Love it, you’ve helped me with not only health and fitness but also staying productive.